To help the Elemental Grace Alliance to continue to provide it’s information and Services free of any charges or fees, your kind and generous donations, gratuities or sponsorships, would be Gratefully and Loving Appreciated. Thank you for your Heart Felt consideration. By now you have finished your registration processes of Phase 1 and 2 and downloaded and reviewed all the suggested documents and files that have been provided for your Highest Good in the Support of you entering this Study as informed as you can be in this condensed format and with the time frames allocated. How exquisite it is to witness, to be within, the EGA Divine Plan unfolding in this moment in time and space. Everyone present is a part of laying the foundation for the Aquarian Age, and the coming of Group Awakening. The Circles of Light will come to be, because each of you have stepped forth, following the listening to and honouring of your I Am Presence. Your fixed design brought you to this doorway; your free will choice will take you through. For those of you who are new to this information, as taught by Beloved Brother Djwhal Khul, you are being exposed to some of the most profound scripture on the planet at this time. For those of you already familiar with this information, you are being exposed to connecting with a Group of like-minded Light Bearers. In either case, you are invited to contemplate not just your personal awakening through this Rule 1 Study Group, but to also connect with the Group as you engage with this study. You are here because, as Kryon would say, you are an ‘old soul’. You’ve incarnated in hundreds, if not thousands of lifetimes engaging in a spiritual journey as an individual. The Piscean Age was designed for the unfolding of personality, of the individual, and for good reason. It was an age where the Master and disciple model was the primary technique used by the Hierarchy to prepare the disciple for awakening. However, this technique, as Brother DK has told us, has passed its shelf life. It is time for a new recipe. Under this new Aquarian Age everything is changing. You are invited to open your mind to both the individual and the Group consciousness. Speaking as one of the EGA Facilitators, please know you are honoured, served, supported and loved. It is like we have all just entered a grand kitchen, glowing with Light and Love. This magnificent space has been opened to you because you Honoured the calling of your I Am Presence to be here. Upon shelves are every manner of herbs, and cooking implement you could imagine, and more. Within cupboards and fridges are all the ingredients you could wish for. As you pull on your apron and begin to consider what you might prepare, you are invited to look about (figuratively speaking) and visualize many other beautiful Souls present, taking in the scene as you are. Visualize the meeting of Eyes, and of Hearts, and know how Dearly Loved You Are. And understand that the Hierarchy, through each of us, is laying a foundation for a spiritual awakening that is still yet not fully grasped for its potential. And yet, each meal we are preparing to serve in this Aquarian Age shall transmute the world in a fashion undreamt of by all but a few at this time. However, first we must engage in our own recipe of transfiguration, both as individual and as a Group. As you are about to learn (assuming you’re new to these 14 Rules) this in this Age of Awakening is all about Group Consciousness, Group Awakening and Group Initiation. But then, in truth this entire message is nothing new to you, for you are here, in divine order and timing. Everything changes with the potential of group awakening: How we learn; how we grow; how we love; how we care; how we nurture; and how we harness the Power of Shamballa. But first things first, proving our worthiness, donning the apron of this potential, reading the recipe of our co-created future, and together cooking up a meal fit for every aspect of God Intelligence, in this Universe and beyond. Now you have here upon this page the Study Schedules. A single PDF file of the entire 10-day study plan laying out upon a Table the 10 day colour, day and page number. There are the 2 Prayers for daily invocation and the Preliminary Remarks by DK that you only need to read once, and in truth this will probably have been done already. Below these Download Button are additional inclusions that may change as the study unfolds. These will include any DK Messages or Instructions, Discourses that are recommended of that you shall be invited to read as part of this Group Endeavour. You shall be notified by email when extra files shall be available here. On Behalf of the Elemental Grace Alliance Council, that is the Sun of Even Pressure Disciple Council Members as well as Shamballa, The Hierarch and Humanity, I wish to say,this is Your Creation, Your Discovery, Your Fulfilment of the Law of Existence and this can only be a success with your Individualized Expression of the God Within, so do not stand back, come forward and let your Vibrational Resonance Radiate its Light upon your Brothers and Sisters and the World. Now is the time! How Dearly Loved We All Are. What Grace and Gratitude is felt for each Individualization of God that has chosen, in this profound Universe of free will to be here. A chart depicts a moment in time – a time when we have chosen to come together to start to write Rule 1 of Djwhal Khul’s 14 Rule Study programme. An astrological chart is rather like a cosmic camera - taking a picture of a fusion of energy at a particular moment in time and space. This moment in time being unique, reflects a potential, a seed waiting to come to fruition. Patterns of planetary energy are being constantly formed and broken – a never ending dance in which we all participate. 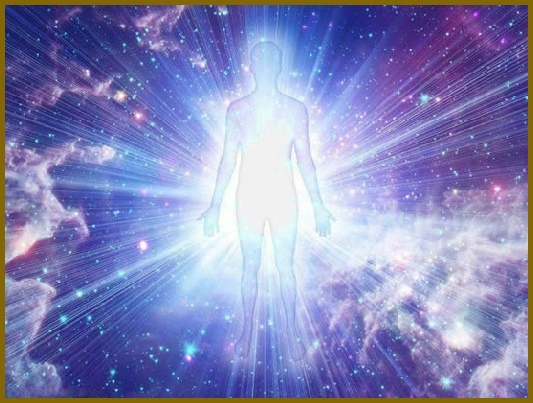 Physically we are energy/consciousness and everything around us is made up of energy and consciousness. Each of us is enfolded within a Divine Intelligence of particle and light underpinning our electro-magnetic cellular system. Just like the birth chart for an individual, the start of any project or combined initiative, carries the seed potential for what is contained within the fully manifested Divine Design. There are 64 Gene Keys, each embodying a particular archetypal energy and resonance which has its links within the knowledge of the I Ching. Each of these 64 Gene Keys covers just over 5 1/2 degrees of the 360 Zodiacal circle. The 64 Gene Keys are the letters of the Language of Light/Life, a language which is present in the DNA and known to humanity through the I Ching. At this moment in time of the New Moon on June 13th the Sun, which is our enlightened consciousness and the Moon which is our subconscious come together in the sky on GK 12 which connects to the key of Purity. It is upon Earth, Gaia that we can anchor and elevate consciousness to benefit and assist all – at this time the Earth is in the zodiacal sign of Sagittarius, of higher learning and expanded consciousness and is activating Gene Key 11. Juno which represents the Sacred Marriage, the Unio Mystica of the anima animus, or Holy Union with the Divine, is at this time, conjunct, or next to, the cosmic body of Eris, which holds a ‘mirror’ up so that we can truly see how our thoughts and feelings may be projected on to others, and how we now have the capacity to take responsibility for all that occurs within our lives. It asks that we become clear and truthful in all of our dealings with self and others. This would seem to echo the archetypal energy of Purity which is the central theme of this moment in time. This is but an excerpt of the whole of this report, to read the whole report please download the PDF below. New Moon Starting Time: The time designated to start is based on BST British Standard Time. That is GMT – 1 hour. You will need to calculate your local time from this BST time. I am attaching a link that is easy to use to covert this UK time to your local city region. The study period each day is flexible, this has to be for obvious reasons, day or night, personal responsibilities, family, work etc, so we are suggesting that within 12 hours either side of your local time of the New Moon will provide the necessary unity for this Group Endeavour! It Truth is matters not, for while we are doing this in real physical time, we could easily be aware and KNOW we have done this or are doing this together in no time and no space. The NOW Moment is eternal and that means we are in all places in the One Moment. We are simply providing here the alignment necessary for conscious awareness of the Truth of the ONENESS We Are, providing the time and space for the ego personality to catch up. Each day you say the 2 Prayers out loud preferably, but not necessary, however, the vocal resonance helps to inform your whole body what is being asked of it, to work with you. Else this could become a mind study alone and not allow for the participation for a whole-body experience. All other documents supplied that are not the 10-day study material is not for writing, just reading as supportive material for preparation and possible review after or during the pondering or the course and text material. By all mean use those as and when you feel them necessary and follow you I Am Presence for He/She will lead you to the answers you seek if you pay attention to your feelings and inner guidance. Use imagination, visualization and pictures while not forgetting your creativity to change old habits to make this work for you! Follow every lead and most of all share with the Group for within this Group are many delightful and Loving Souls just waiting to Support you also. Transcribe: This is where you are invited to preferably write, but you may type, a copy the text of the day for that day. As you transcribe, highlight/bold those sentences that immediately catch my attention. Do this so that you can maintain a flow of transcribing, honouring that process, while honouring that part of yourself that has surfaced to be noticed that you can return to if needed. Work through from the beginning, looking for additional concepts that catch your attention, that you don’t understand, or that you previously highlighted. Those that catch your attention quieten your mind, centre yourself with a few very deep breaths and ask your I Am Presence to enrich your conscious understanding. Those that you don’t understand warrant a similar approach. Accept, that you explicitly need to ask for assistance, else it will not be forthcoming. If no result just surrender to it, knowing that in the right and perfect time it shall be given to you in another way, perhaps in another place and there you shall gain the understanding needed. Those that you have previously highlighted, return to and work through the above two steps. Remember you can always ask the Group for assistance also, which can be very enlightening. Record Your Impressions and Insights: For sharing or later recall. It is not an obligation to record anything, but this work can bring up all sorts of things and may produce some Ahh Moments that you may like to record for your own purposes. This is a group endeavour and your sharing of your realizations, experiences regardless of what they may be good or bad, painful or uplifting. The Group is a Safe Haven to share and help any healing to take place, even if only an ear to listen or a shoulder to lean upon. In the last group, we had some pretty painful experiences shared about past life events and I mean dire, in terms of human pain and endurance, but the group Supported and Love and indeed Miracles did happen! This Study Group Opportunity is ultimately here for your Journey but with a Oneness to Unify the experience with those Who Love You! UNCONDITIONALLY! So use it with the potential facing you now to Raise not only your own Consciousness but that of the Whole Human Race. That is the Goal here, through Selfless Service to Humanity. You are Deeply Love!! !